And of course, no trip to Yellowstone National Park is complete without checking out the world’s largest collection of geysers! 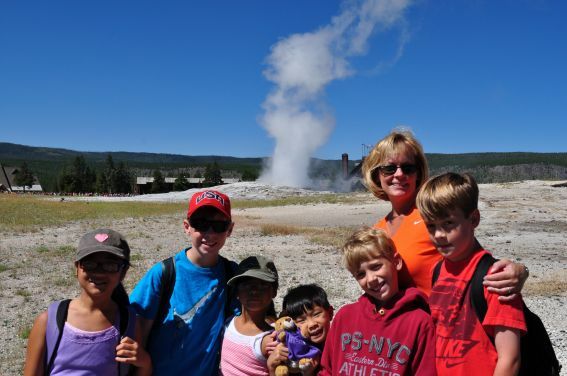 Old Faithful may be the best known- but we had the chance to see several geysers erupt- and they are all equally amazing. 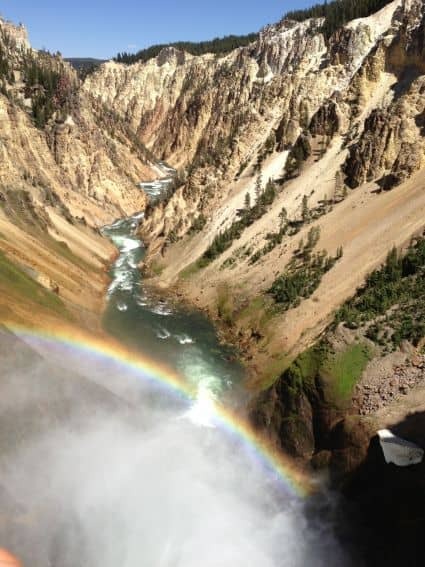 Today’s hike to see the brink of the lower falls in Yellowstone was quite a challenge- steep switchbacks down the mountain and a corresponding steep climb up. But the views made it worth it- absolutely spectacular. What’s the best hike you’ve ever taken with your family?